This prehistoric event will have two showings. The first performance will be at 10 a.m., followed by an evening performance at 7:00 p.m.
Prehistoric Aquarium is a real adventure taking place at the bottom of the ocean; the audience experience is enriched via immersive techniques that make them feel as though they are sometimes swimming with the creatures in the tank. NICEVILLE, FL – The nationally touring production of Erth’s Prehistoric Aquarium Adventure will be at the Mattie Kelly Arts Center in Niceville on Friday, January 25 at 7 p.m.
Erth’s Prehistoric Aquarium Adventure is an immersive experience that invites audiences of all ages to jump in and explore unknown ocean depths where prehistoric marine reptiles lived eons ago – and maybe still live today! 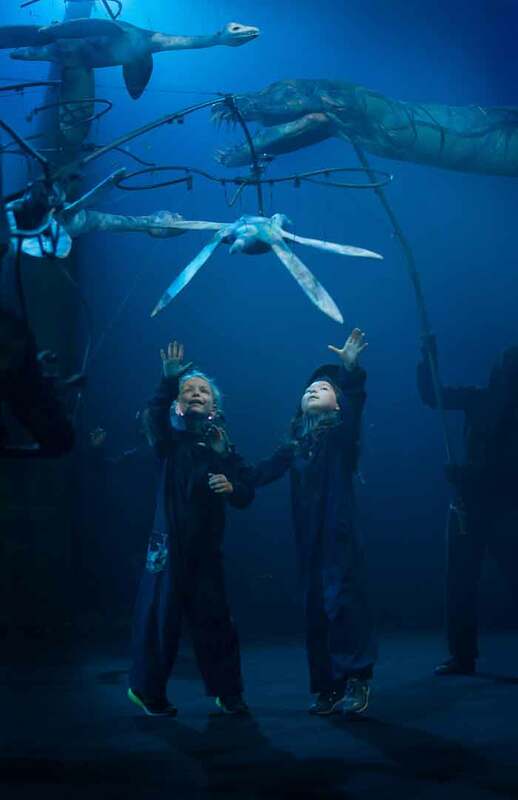 Prehistoric Aquarium Adventure was created in Australia by Erth Visual & Physical, who spent years scouring the seven seas, collecting playful prehistoric marine reptiles for their giant theatrical aquarium. The show explores the depths of the ocean, unlocking the mystery of the dinosaurs of the deep. Prehistoric Aquarium Adventure follows the enormously successful Erth’s Dinosaur Zoo Live, which introduced a menagerie of insects, mammals, and dinosaurs which roamed the planet 65 million years ago. 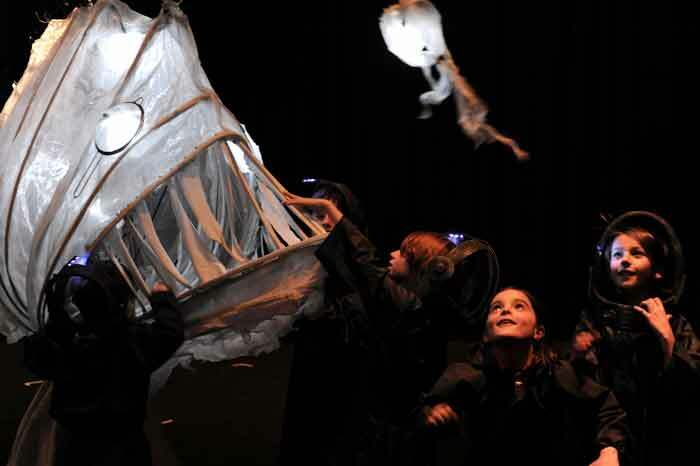 Both shows feature a large-scale cast of creatures brought to life by sophisticated design, theatrical presentation, and puppet mastery. Tickets are $15 for adults and $10 for youth ages 18 and under, and can be purchased by calling 850-729-6000, visiting the box office, or clicking mattiekellyartscenter.org. 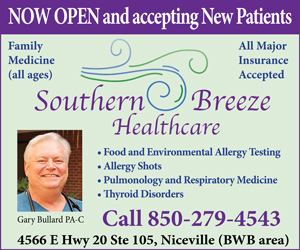 To see the full list of upcoming events at the Mattie Kelly Arts Center, visit www.mattiekellyartscenter.org.